Diron supply cat aftermarket engine piston to customers all over the world, they are used for replace heavy equipment parts like cat, cummins, komatsu. Diron is a high quality heavy equipment replacement parts dealer from china. 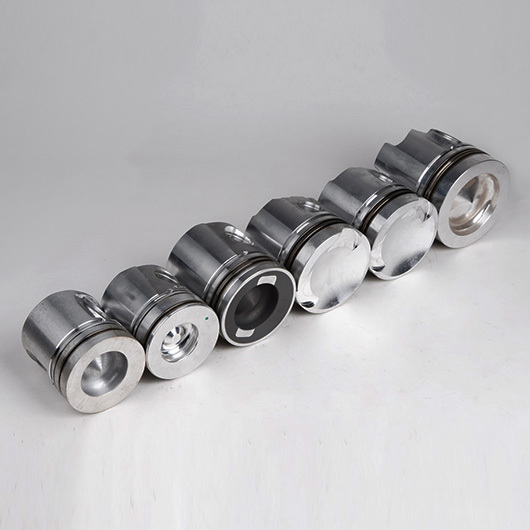 The inside of the piston is the hollow design, more like a hat, both ends of the hole connected to the Pin, the pin connecting rod head, connecting rod is connected with the crankshaft, the piston reciprocating motion into the crankshaft of the circular motion. It can be understood as the engine "center", in addition to living in a harsh working environment, it is the busiest of engine one, constantly from the bottom to the point Stop, work, exhaust.